As someone who first saw Phoenix, Arizona in the 1970s, when you ask me where downtown Phoenix, I'll say right around Central Avenue and Washington. That is, about where CityScape is nowadays. For me, downtown isn't very large, it includes Chase Tower at Central and Monroe, and the ballpark, on Jefferson and 7th Street, and as far as Five Points, which is Van Buren, Grand Avenue, and 7th Street. Of course nowadays what is considered downtown for many people goes as far north as McDowell. I've even heard Indian School Road described as downtown. And as the city grows, the area that most people consider downtown grows, too. The exception is the railroad tracks just south of Madison. Anything south of there isn't considered downtown, it's considered South Phoenix. It was true back in the '70s, and it's still true today. If you go west of 7th Avenue, you're no longer downtown, you're in West Phoenix. East Phoenix is a little bit more vague, but it's roughly anything east of 7th Street. And don't get me started on what North Phoenix is! It could be near North Mountain, or it could be Anthem. I've known people who have gotten into the dullest arguments I've ever heard about where downtown, and midtown, and uptown Phoenix are. And often the people who live in a particular area will be very fussy about what they call it. When I lived in Los Angeles, I knew people who wouldn't dream of calling their area Studio City, because it was Valley Village. And so I listen to the people who travel around. The people who need to get somewhere, like contractors, will always start with a rough location. So I talk to them. 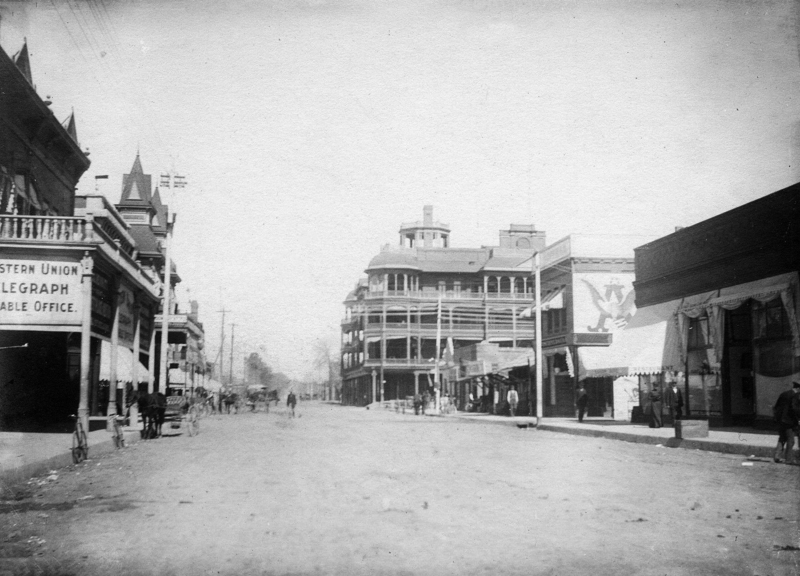 Photo at the top of this post: Looking north on Central at Washington in the 1890s, Phoenix, Arizona. Back then it wasn't just downtown, it was just about all of Phoenix.